Featuring nine of Studio Ghibli's masterpieces, the series kicks off with the 15th anniversary of the Academy Award®- nominated fantasy adventure Howl's Moving Castle, and continues with the 35th anniversary of Nausicaä of the Valley of the Wind, Whisper of the Heart, the 30th anniversary of Kiki's Delivery Service, "My Neighbor Totoro}, The Secret World of Arrietty, the Academy Award- winning Spirited Away, Princess Mononoke, and concludes with the Academy Award- nominated The Tale of The Princess Kaguya. Tickets for Studio Ghibli Fest 2019 can be purchased online beginning Thursday, March 7 by visiting www.FathomEvents.com, www.ghiblifest.com or at participating theater box offices. A complete list of theater locations will be available on the Fathom Events website March 7 (theaters and participants are subject to change). Weekday showings begin at 7:00 p.m. and Sunday showings begin at 12:55 p.m. (all local times). Tickets for Studio Ghibli Fest 2019 in Canada go on-sale on March 7. Visit our partners at www.Cineplex.com for more information. Fathom Events CEO Ray Nutt said. "After two extraordinary years of Studio Ghibli Fest, we couldn't be more pleased to partner with GKIDS once again. The 2019 anime series gives fans across the nation a unique opportunity to experience these renowned titles together at their local cinemas and we're proud to be able to make these communal viewings possible." GKIDS Co-Founder and President Eric Beckman said. "GKIDS is extremely proud to be bringing the beloved Studio Ghibli films back to the big screen with Fathom Events, so fans can discover and rejoice in these wonderful, iconic animated works throughout 2019!" 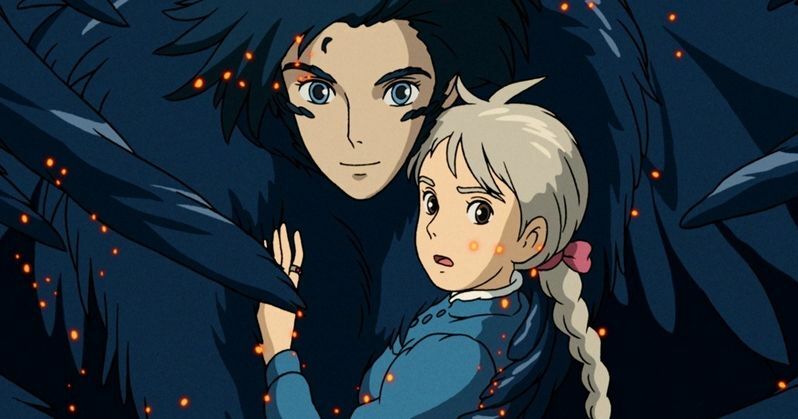 • Howl's Moving Castle: 15th Anniversary" - Sunday, April 7; Monday, April 8; and Wednesday, April 10. • Nausicaä of the Valley of the Wind: 35th Anniversary" - Monday, May 20; Tuesday, May 21. • Whisper of the Heart - Monday, July 1 and Tuesday, July 2. • Kiki's Delivery Service: 30th Anniversary" - Sunday, July 28; Monday, July 29; and Wednesday, July 31. • My Neighbor Totoro - Sunday, August 25; Monday, August 26; and Wednesday, August 28. • The Secret World of Arrietty - Sunday, September 29 and Monday, September 3. • Spirited Away - Sunday, October 27; Monday, October 28; and Wednesday, October 30.• Princess Mononoke - Sunday, November 17; Monday, November 18; and Wednesday, November 20. • The Tale of The Princess Kaguya - Monday, December 16 and Wednesday, December 18.